» Blog Archive » Don’t Read The Latin! Episode 76: Religious Horror! Don’t Read The Latin! Episode 76: Religious Horror! A new episode appears! Your hostesses Jennifer and Rhias discuss horror with a religious bent. While we’ve done shows on the devil and exorcisms, this covers the general topic more broadly, hitting things like pagan religions and angels. On a technical note, I’d like to apologize for the sound quality on this one, I hit the wrong switch on the mic so it’s really crackly. I did the best I could, but it’s definitely not my best work. 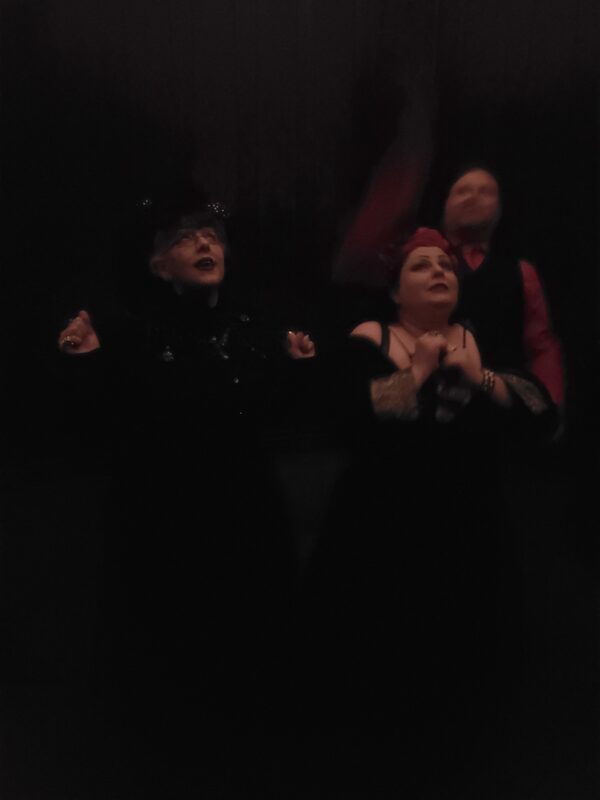 However, without further ado, here’s the picture of Rhias, Jillian Venters, and me, Handsome FIANCE Jim as we ride the Haunted Mansion all alone.